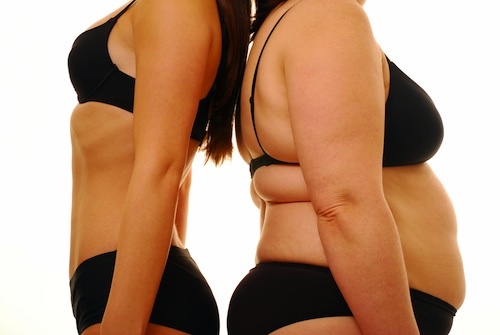 Fat has a bad reputation, both in food and on the body. It’s certainly true that the U.S. has a problem with body fat; according to the U.S. Centers for Disease Control and Prevention (CDC), about two-thirds of adults in the U.S. are overweight, and fully one-third of adults fall into the more serious “obese” category . Still, appropriate amounts of body fat serve valuable roles. These include helping to maintain the immune system and nervous system, protecting body organs and padding areas where the skeleton would otherwise put pressure directly on the skin (such as the soles of the feet). Too much body fat, however, is associated with a number of negative health effects, including increased risk of heart disease, type 2 diabetes, arthritis, and apnea. Sedentary Time Negatively Associated with Cardio-metabolic and Inflammatory Biomarkers. Taking many breaks from muscular inactivity, even just 1-minute breaks, appears to lower levels of C-reactive protein (CRP) and may result in a smaller waist circumferences. That’s the result of a recent study in the European Heart Journal, which evaluated sedentary time and breaks in sedentary time with continuous cardio-metabolic and inflammatory risk biomarkers. Researchers at Cincinnati Children’s Hospital Medical Center have identified biomarkers of poor outcomes in preterm infants that may help identify new approaches to prevention. The study investigated a polymorphism in a gene important for the immune system. Scientists found that the polymorphism raises the risk of bad outcomes in preterm infants, including death, necrotizing enterocolitis (death of intestinal tissue), and gram negative sepsis, an overwhelming infection. Researchers at Massachusetts General Hospital (MGH) Cancer Center have discovered massive over-expression of certain non-protein coding DNA sequences in common tumor cells. The DNA sequences, called satellite repeats, have not been previously thought to have a role in cancer. The study appears in the journal Science. According to a recent JAMA study, patients who underwent coronary artery bypass graft surgery and had elevated levels of the cardiac enzymes creatine kinase or troponin in the 24 hours following surgery had an associated intermediate and long-term increased risk of death. A new study in the journal Chest concludes that the amino acid cysteine may be a biomarker for the development of obstructive sleep apnea (OSA). The plasma biomarker was found to be elevated in patients with OSA, independent of obesity status.